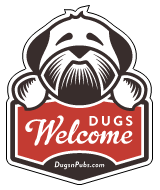 We are dog and child friendly (you can even bring your own food, as long as you buy a drink). Come and enjoy the Ales and the banter at The Turtles Head! There are a total of 3 dog friendly listings in the Walsall category. Please log in, or sign up as a member to view all listings.